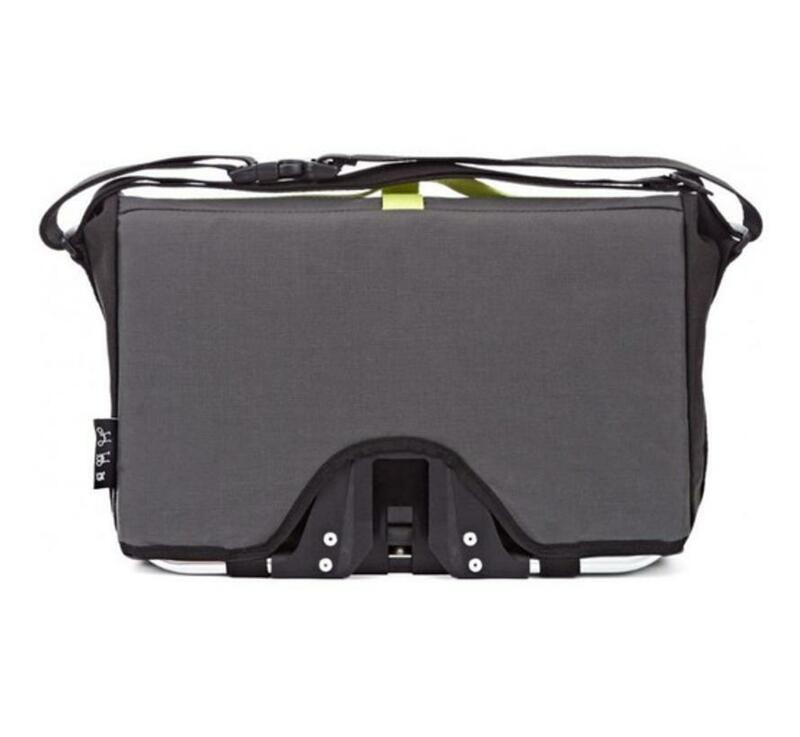 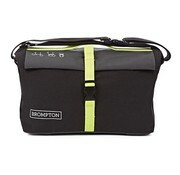 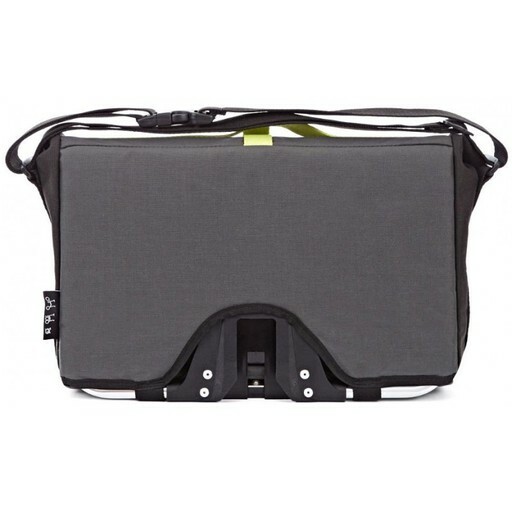 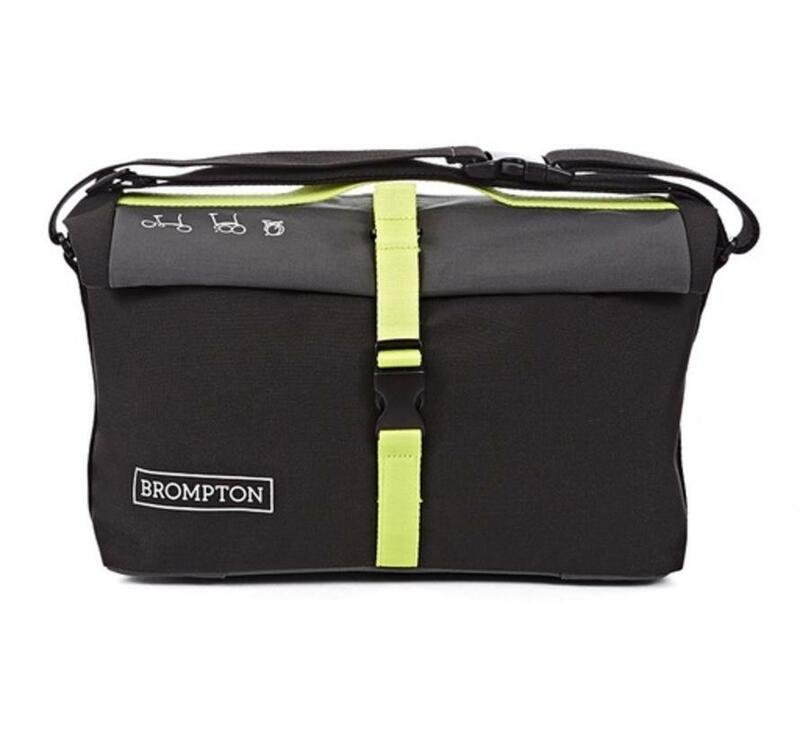 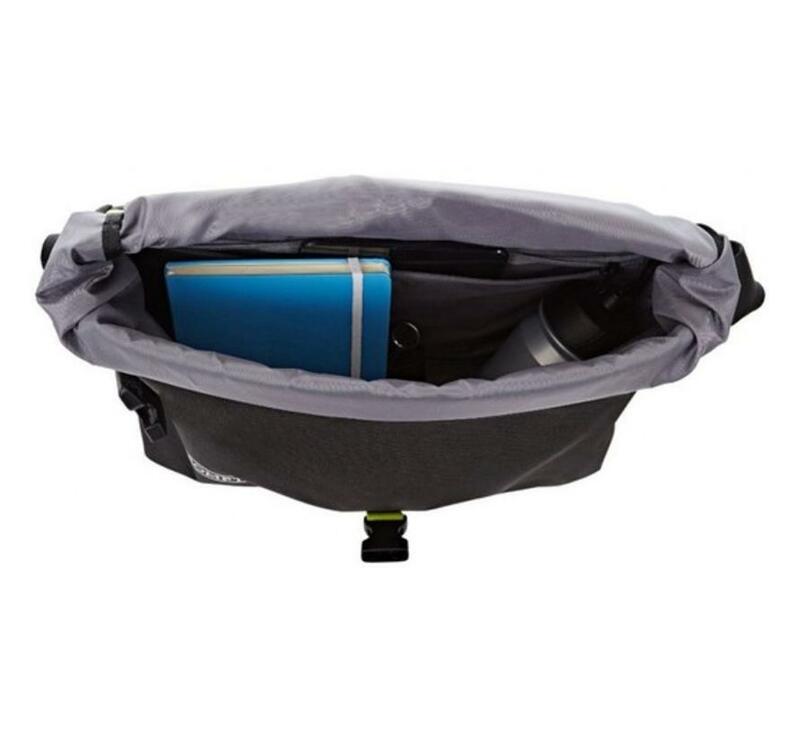 Roll top Brompton Bag, made of heavy duty nylon fabric in grey, black with lime green details, comes with cover & frame. 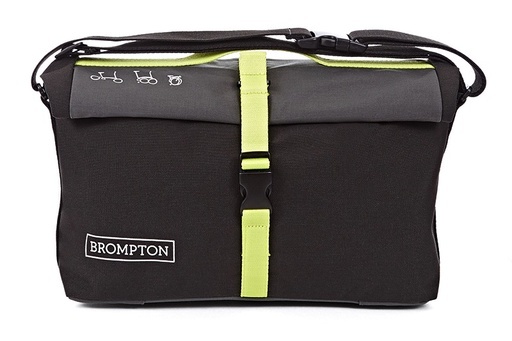 Brompton part QRTB-GY. 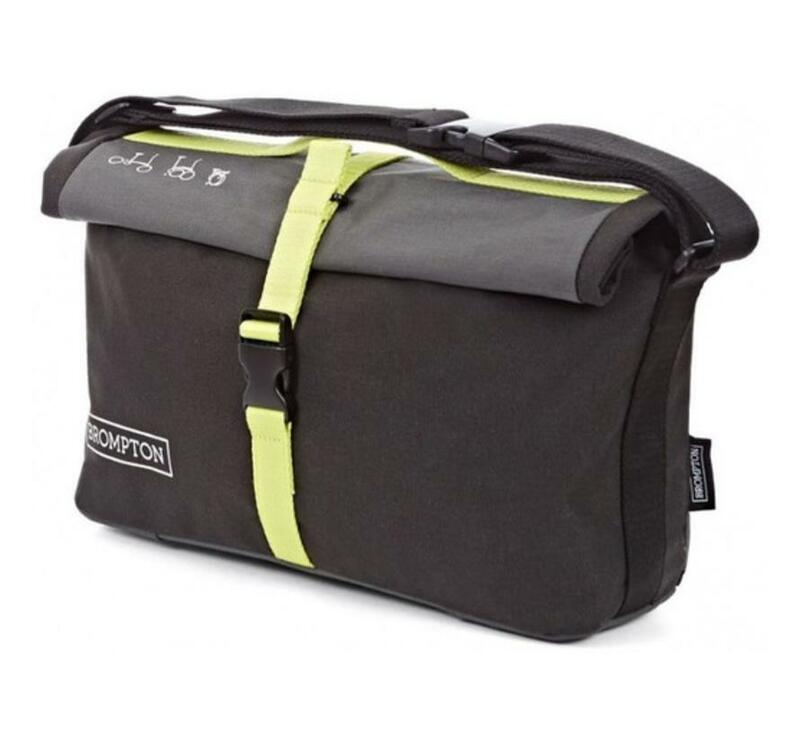 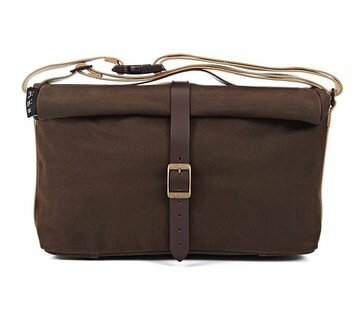 9-liter capacity bag. 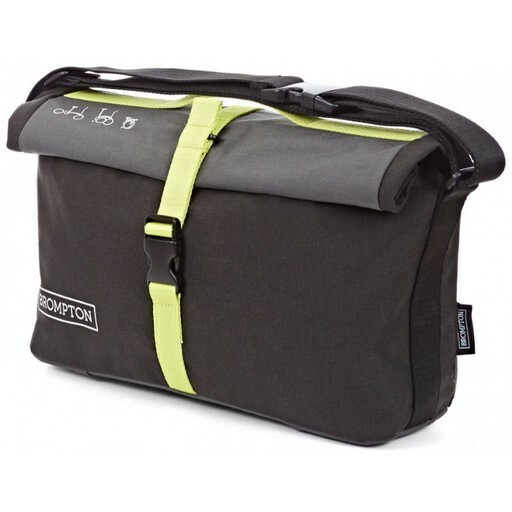 Compatible with all handlebar types.